Get all the tools you need to gain your first doctor position. Having helped hundreds of IMGs and Australian doctors find jobs in Australia Anthony is well placed as an expert in the process. This is a premium course for those who are truly serious about obtaining a position as a doctor in Australia. By enrolling in this course you will gain access to the expert knowledge of Dr Anthony Llewellyn and the rest of the AdvanceMed faculty. 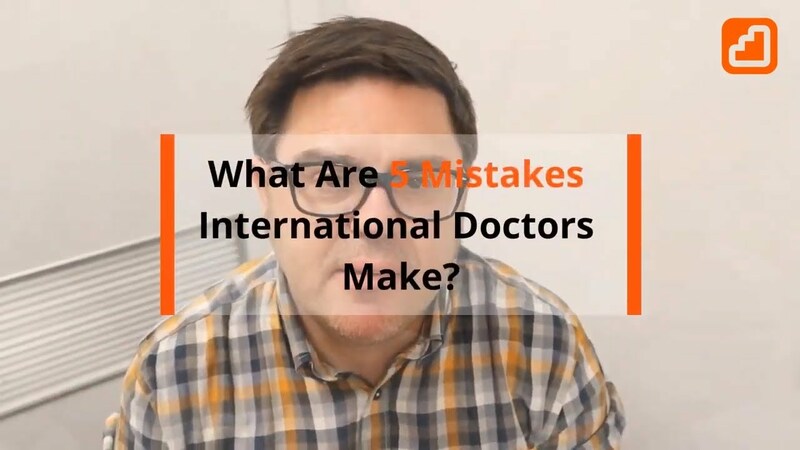 This course teaches you how to navigate the common pain points in mastering the Australian doctor job market. Anthony is one of two Founders of AdvanceMed. Anthony's background is in Psychiatry. Anthony has worked in Medical Management and Executive roles for over 15 years. From 2012 to 2016 Anthony was the Executive Medical Director of HETI. In 2018 Anthony was contracted by the RACP to write a Best Practice Guide for Trainee Selection. Anthony has literally reviewed 10,000 CVs in his career and conducted and participated in over 1,000 interviews. Naj is currently working as a Resident Medical Officer in Victoria. His insights into the process are highly valuable. Naj's original degree was from Pakistan. Naj has been working in academia in Australia for several years. He passed the AMC Part 1 in Later 2017 and obtained his first post 12 months later. Naj blogs and vlogs about the process on Outback Doctor YouTube Channel. Rachel is the community Manager for AdvanceMed. Her role is to support medical trainees. Rachel completed her medical degree at the University of New England and held various roles including University of New England Medical Students Association Academic Convenor, Anatomy Tutor and Tablelands Clinical School Student Representative. Rachel completed her internship and residency within Hunter New England Local Health District and was a member of the Hunter New England Accelerated Psychiatry Program. Rachel is a 2018 graduand of the HETI LEAD-LEAP medical leadership program. She is now employed as a Conjoint and Casual Academic for the University of Newcastle Joint Medical Program and Wollotuka (Indigenous Education and Research) Institute. The programs spans 4 blocks of coaching and learning across 8 weeks. It's important to know where to start. We run you through a number of key issues that ensure you don't make mistakes and waste time in your goals of obtaining a position. During this fortnight we also start to get your documentation right and have you sign up for regular job posting alerts. You begin your journey through our CV course. During this fortnight we also arrange for your one on one Strategy Call. Without the right sort of CV in Australia, you won't get a second look from employers. They just have far too many candidates to choose from. During this fortnight we put together your Killer CV. We show you all the things that MUST go on the front page to ensure you attract employers' attention. You also begin your journey through the job application course. During this fortnight we also complete any outstanding one on one Strategy Calls. We show you where to look for positions and get you searching. We also show you how to not waste your time on dead ends. During this fortnight you will hone your cover email that will be the lead into the employer now wanting to look at your Killer CV. You also begin your journey on the interview preparation course. Being prepared for an interview at any moment is important for IMGs. Many IMGs find that they can go several months of submitting applications and then when they get an opportunity they only have a few days to prepare. If you are preparing for your interview at this stage you may have wasted your one opportunity. There are many possible interview questions that you might confront. During this fortnight you will practice interview questions and submit examples for common interview scenarios for critiquing. All Prices are in Australian Dollars. GST is included. After Completing Your Application Please Pay The Application Fee Below. If you are accepted into the course the application fee will be subtracted from your overall course fee. If you are placed on the waiting list and accept being on the list we will hold onto your fee until the next enrolment is available. If you decline the waiting list or are not deemed suitable for this course your fee will be fully refunded. Application fees are not refundable if you are offered a place on the course and then fail to register at a later date. Everything was great! The meeting was very productive. I was given a lot of valuable information about my future career as a medical doctor in Australia. Dr. Anthony Llewellyn is a great person! In which country did you obtain your primary medical degree? If you have a valid English assessment please enter the details of this here for e.g. "IELTs May 2018 7, 7.5, 8.0, 7.5"
Have you attempted the AMC Exams? Please select the most appropriate option. Have you applied for any positions in Australia yet? Have you previously been offered an interview for a position in Australia? Please upload a current copy of your CV or Resume. If successful in my application I agree to the terms and conditions and privacy arrangements. By applying for this course I understand that if successful I will be required to pay for the course upfront at the advertised price in Australian dollars at the time of making payment. I also understand that the course runs on a schedule and have determined that I am comfortable with being able to participate in the course on this schedule. I have also read the privacy conditions and general terms and conditions of this site.